Tenants Sue Kushner Cos. For Alleged Harassment, N.Y. Governor Launches Probe Current and former tenants say the company exposed them to toxic dust, noise and rats, forcing them out of their rent-stabilized apartments and making way for luxury-condo buyers. 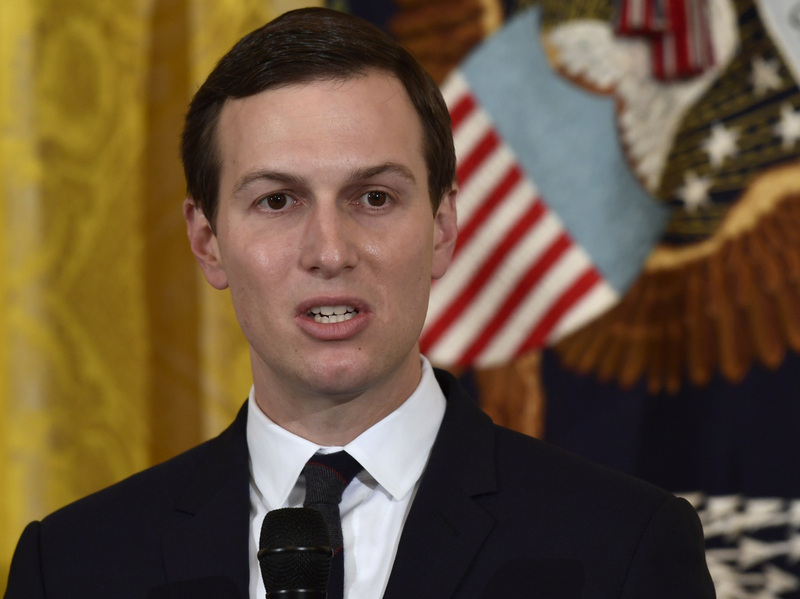 Current and former tenants are suing Kushner Cos., the real-estate firm owned by the family of President Trump's son-in-law and White House senior adviser, Jared Kushner, for alleged harassment. A promotional video for the Austin Nichols House — a swanky, renovated condominium building in Williamsburg, Brooklyn, owned by Jared Kushner's family — showcases airy modern apartments where sunlight spills in through "Egyptian Revivalist style" casement windows to fill loft-like rooms from their "tobacco smoked oak herringbone floors" all the way up to their 10- to 13-foot ceilings. The images are impeccably staged, depicting pristine and tranquil homes. And they bear no hint of what 20 current and former tenants allege is a history of intentional harassment, squalor and negligence by Kushner Cos. to force them out of their rent-stabilized apartments. In a lawsuit filed on Monday, the group charged that the company deliberately exposed tenants "to a constant cloud of toxic smoke and dust, illegal noise, unsafe conditions" and a "chronic rodent infestation" in 2015, after embarking on a gut renovation to convert the building into 338 luxury condominiums. They're seeking $10 million in damages. The waterfront building was originally constructed as a warehouse in the early 20th century and converted into apartments in 2010. Jared Kushner, President Trump's son-in-law and a White House senior adviser, bought the seven-story property with two investors three years ago, according to The Associated Press. Over the years, those who are involved in the lawsuit have filed more than 70 complaints with various city agencies with no tangible results, the tenants' attorney, Jack L. Lester, told NPR. They also kept records including photos and videos, he said. One video, called "RATS at Austin Nichols House," was posted onto YouTube in February 2017. It captures a very active rodent scurrying back and forth across a bed, while a baby sleeps in a crib abutting the mattress. The tenants also commissioned an environmental study that concluded the apartments had been contaminated with dust containing lead, along with crystalline silica, "which becomes trapped in the lungs and is associated with permanent lung damage as well as a carcinogen." Christine Taylor, a spokeswoman for Kushner Cos., said in a statement, that the lawsuit is "totally without merit" and that residents "were fully informed about the planned renovation and all work was completed under the full supervision by the New York City Department of Buildings and other regulatory agencies, with full permits and with no violations for these claims." Complaints were promptly addressed, she said, adding, "Tenants were never pressured to leave their apartments and the market-rate rent stabilization was – and continues to be - complied with under applicable rent guidelines." The Department of Building confirmed Kushner Cos. complied with mandated regulations. "Through proactive tenant-safety sweeps and in response to complaints from the public, DOB inspected the building dozens of times since 2015 and found no evidence that city construction rules were being violated," Abigail G. Kunitz, Deputy Press Secretary for the city's building department, said in a statement. But a majority of the people who had benefited from the city's rent-stabilization regulations have moved out. "... over the past three years, more than 250 rent-stabilized apartments — 75 percent of the building — were either emptied or sold as the Kushner Cos. was converting the building to luxury condos. Those sales so far have totaled more than $155 million, an average of $1.2 million per apartment." On Monday, shortly after the lawsuit was filed, Gov. Andrew Cuomo said that the state agency which regulates affordable housing is launching an investigation into the tenant harassment complaints against Kushner Cos.
Homes Community Renewal Commissioner RuthAnne Visnauskas said in a tweet, "Governor Cuomo has zero tolerance for tenant abuse of any kind and we will aggressively take on landlords who try to intimidate people out of their homes." This is not the first time Kushner Cos. has come under scrutiny for its handling of rent-regulated tenants. The AP reported in March the company "routinely filed false paperwork with the city declaring it had zero rent-regulated tenants in dozens of buildings it owned across the city when, in fact, it had hundreds."